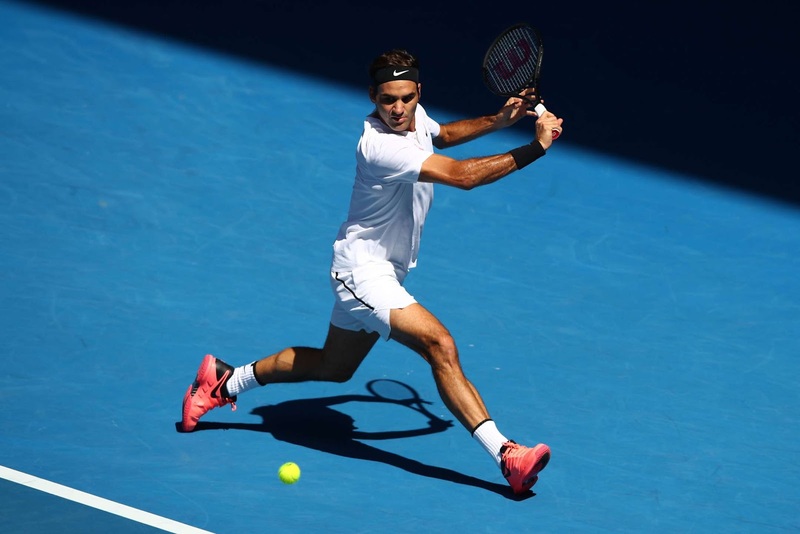 Roger Federer was a strictly nocturnal beast throughout the first week of the Australian Open but proved just as effective with the sun on his back as he sauntered into the quarter-finals for the 14th time on Monday. The defending champion did not require his dazzling best against 80th-ranked Hungarian Marton Fucsovics in his first match scheduled during the day session but still emerged a comfortable 6-4, 7-6 (3), 6-2 winner. He made a bit of history as well on Monday. The 36-year-old Federer became the oldest man to reach the Melbourne quarter-finals since Ken Rosewall (43 years, 59 days) in December 1977, and Federer extended his Open Era record by reaching his 52nd Grand Slam quarter-finals. The second seed will next face Tomas Berdych in the quarter-finals. Federer leads their ATP Head to Head series 19-6, including all four matchups at the Australian Open (2008, 2009, 2016, 2017), and has won their past eight contests. "We have had some good ones over the years," said Federer. "I'm looking forward to playing against him. He seems in good shape, and I'm happy he's over his back issues that he also had at the end of last year. That's a good thing." Fucsovics hardly lied down for Federer, though. The 25-year-old Hungarian was playing in his first Grand Slam fourth round, and he wasn't intimidated by the moment, particularly in the first two sets. The right-hander saved seven of 10 break points for the match against Federer, who showed a bit of everything against Fucsovics, including relentless defence and aggressive offence. "I thought he was playing really clean, solid, bit of everything: serving, volleying, chipping - it was nice to see. I had a hard time really breaking through until I was two sets to love and a break. That’s when I really started to feel, OK now I’ve got the wind behind my back. I can cruise to victory. But until then it was tough. Credit to him for playing a great tournament," Federer said. But Fucsovics, who had previously played best-of-five set practice matches with his opponent in Switzerland, couldn't touch Federer's serve. The second seed conducted a clinic with his racquet on Rod Laver Arena. His serve numbers by set: First Set: 80% (20/25), Second Set: 88% (28/32, including 18/18 on his first serve), Third Set: 71% (17/24). Federer, speaking about their previous practice match experience, shed some light on how the meeting in his home country helped him in the fourth-round encounter. "He was not completely the unknown opponent that maybe people thought he was," said Federer. "When you play multiple sets in a short period of time against somebody, you start to understand their strengths and weaknesses a little bit. The goal for me was really trying to be focused on my own game and take it to him and play tough, but he hung with me for a long time, so it was a good match." The five-time champion never faced a break point, and although he'll want to shore up his play during break points - three for 10 - the Swiss will happily take another straight-sets win.